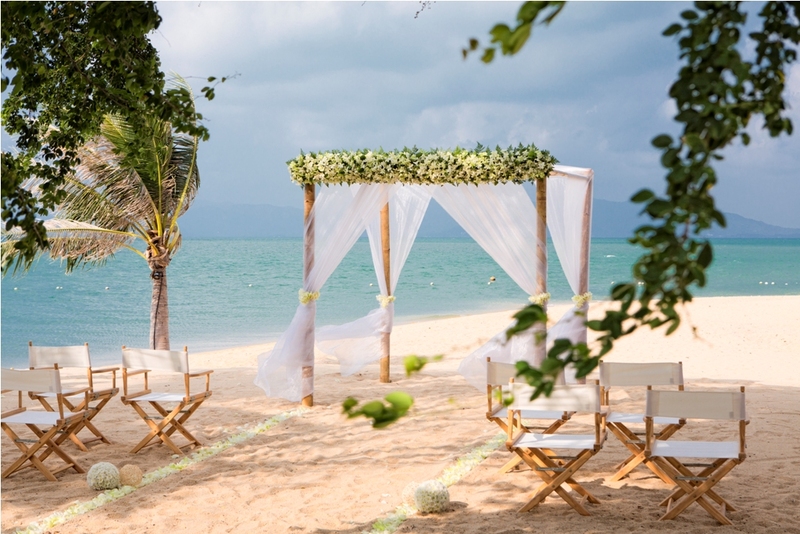 Kya Beach House is a great wedding choice for one of the most idyllic beachside tropical wedding settings on Koh Samui.Turquoise shores, golden sands, sunset vistas and a residence that offers beach living with an intimate private feel, is quite simply what is on offer here. The large private beach garden with 32m beach frontage and large open- air sala, creates the perfect setting for weddings for up to 60 people. The expansive garden setting, with the sea lapping at its feet, creates for guests their very own private beach garden that comfortably accommodates guests for a stunning beach and poolside ceremony and a gorgeous star lit dance floor. Experienced wedding planners are available through the Beach House and offer a selection of wedding services, ensuring the wedding couple and their guests can enjoy this once in a lifetime day in this perfect location.